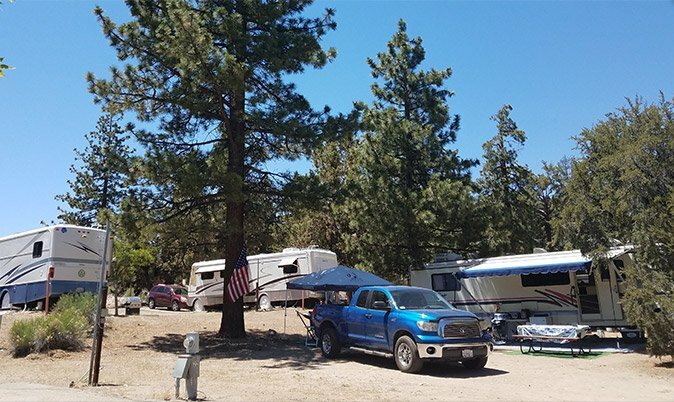 Ideally located near the northeast corner of Big Bear Lake, Pine Tree RV Park is only a short walk to the public boat launch and picnic area and the Alpine Pedal Path, a paved bike/walking path. It is also close to the Woodlands Interpretive Trail and the Discovery Center. 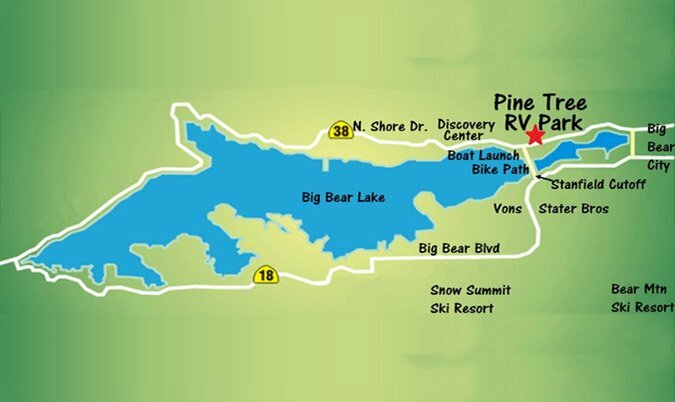 There are many beautiful hiking and mountain biking trails in the national forest within walking distance. 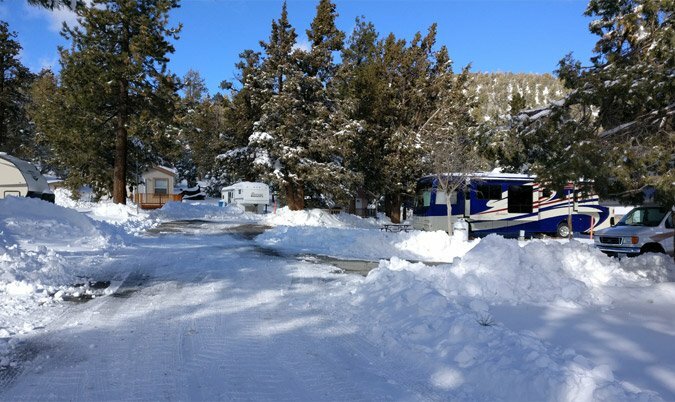 Though it is located on the quiet, undeveloped side of Big Bear, Pine Tree RV Park is very close to shopping, restaurants, and the ski resorts.